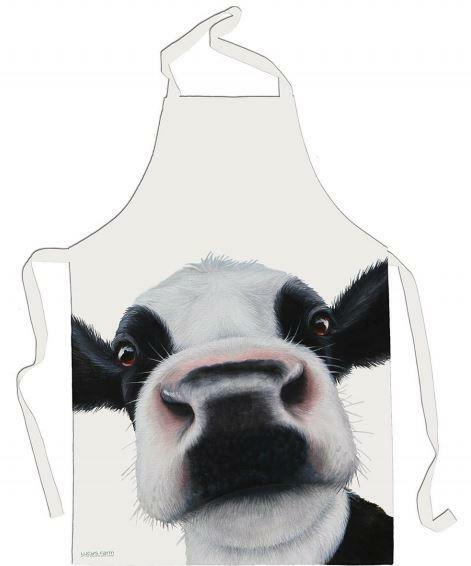 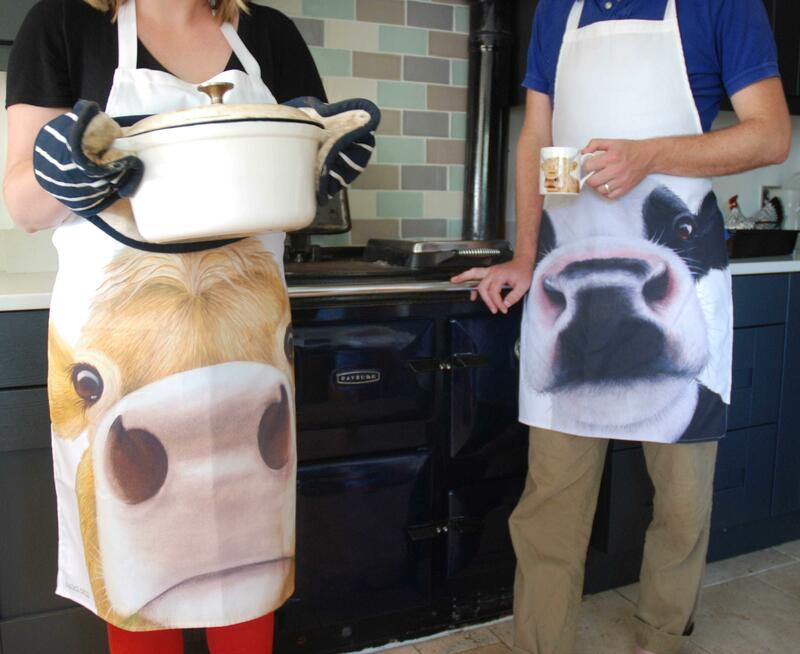 The rather curious Friesian Moo has made it to an apron! 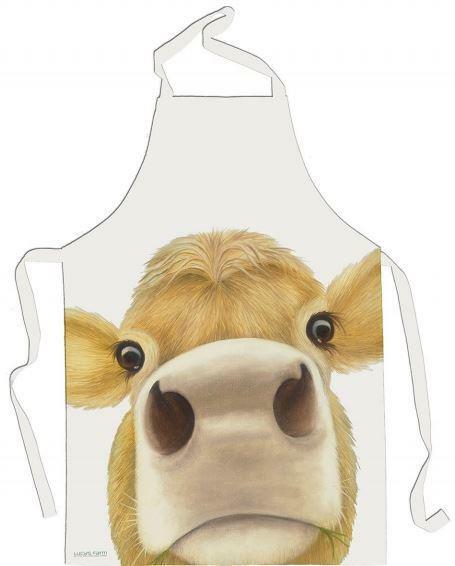 It is made from high quality white 8oz Half Panama. 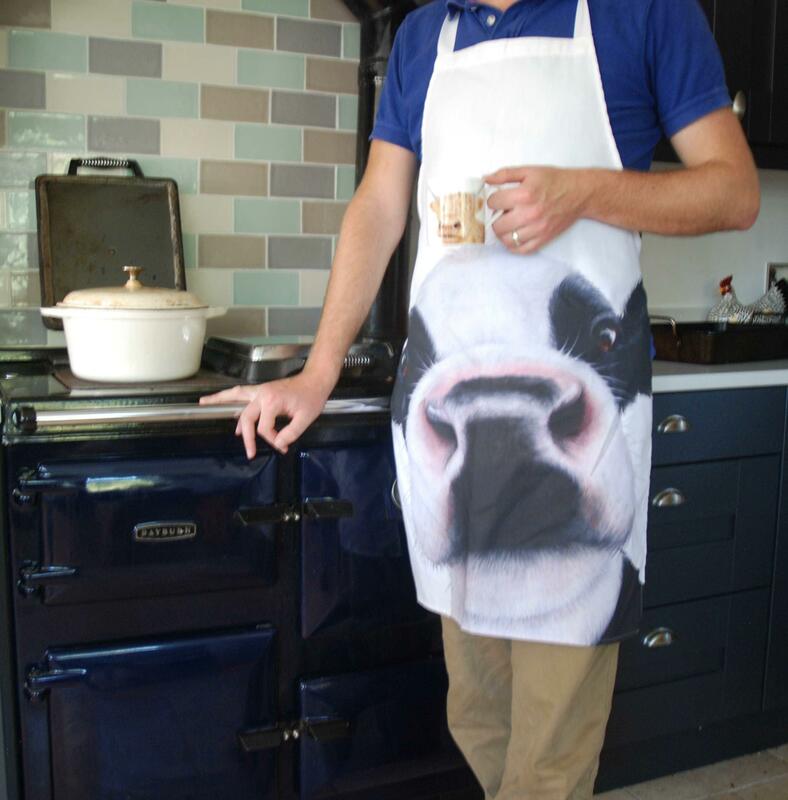 Our Aprons are made here in the UK, using ethically sourced cotton.